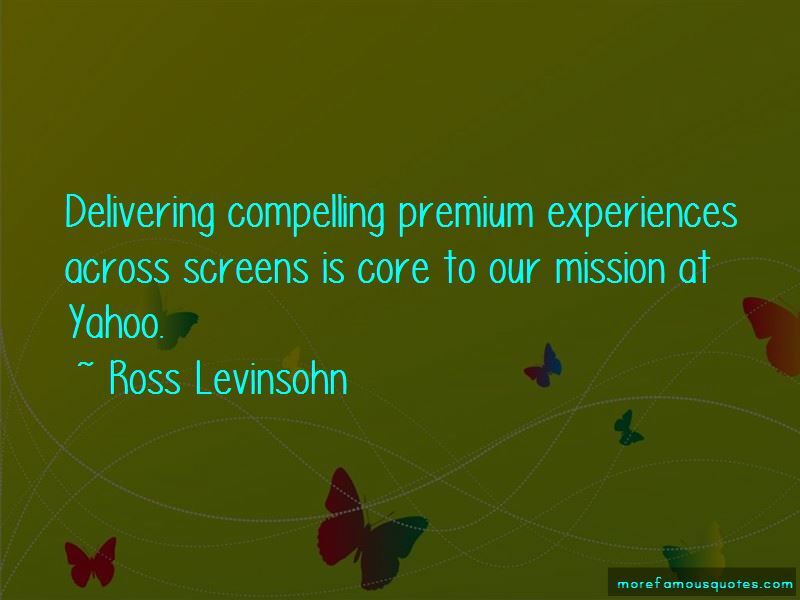 Enjoy the top 34 famous quotes, sayings and quotations by Ross Levinsohn. Fox Interactive Media's acquisitions of Newroo and kSolo demonstrate our commitment to empowering users with interesting tools that they can use to further enhance their online experience and online identity. 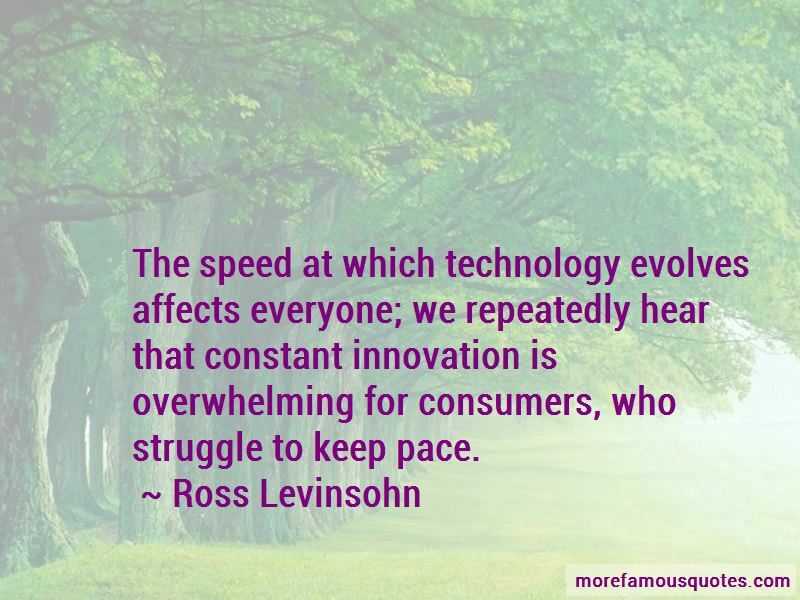 The speed at which technology evolves affects everyone; we repeatedly hear that constant innovation is overwhelming for consumers, who struggle to keep pace. A CEO needs to build their own team. Facebook done a great job of monetizing social. 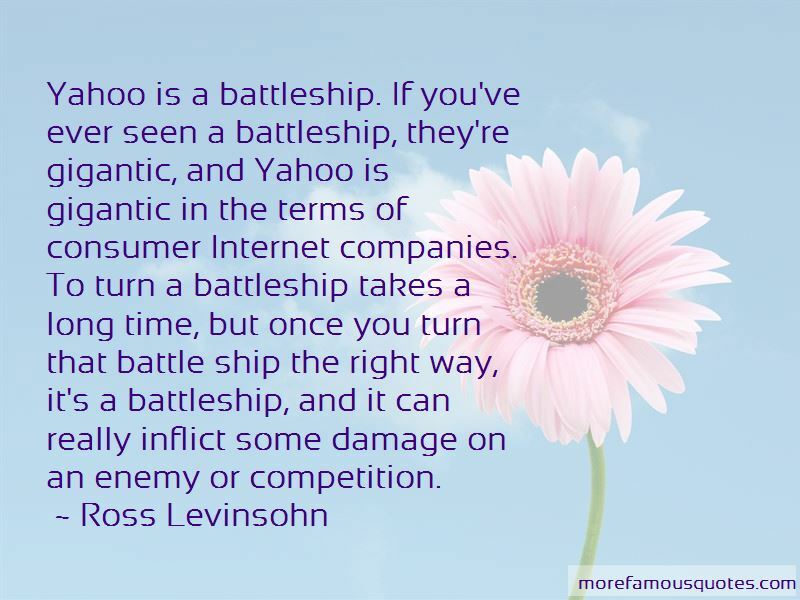 I competed with Yahoo for 15-1/2 years, and the one thing I tried to do over the years was desperately try to get a deal with them. In any business, you have to evolve. It's virtually impossible for most sites to do a billion page views in a month or even a year. Our deep collaboration with ABC News further strengthens Yahoo! as the No. 1 online news source, greatly enhancing our already robust news content. Video is crucial to the future of media: premium video in that respect. You can't manage Wall Street. Wall Street has its own viewpoints on everything. 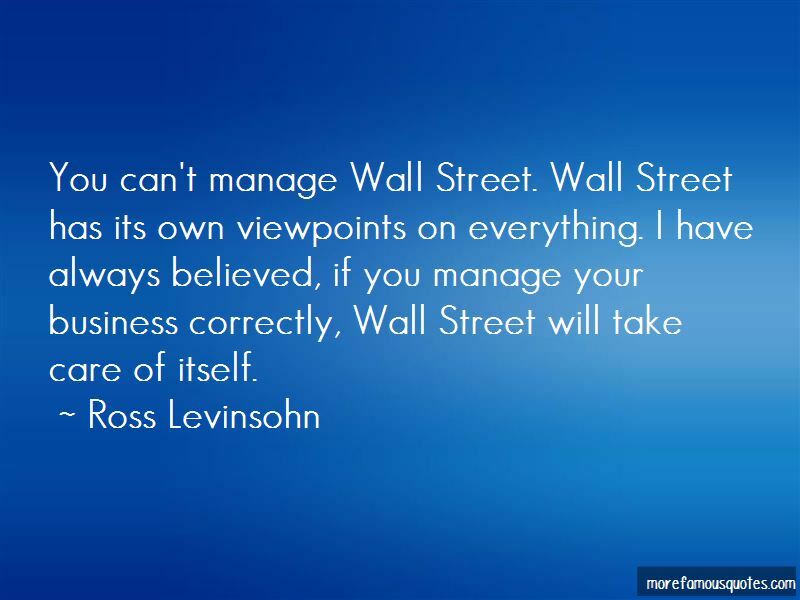 I have always believed, if you manage your business correctly, Wall Street will take care of itself. Want to see more pictures of Ross Levinsohn quotes? Click on image of Ross Levinsohn quotes to view full size.